Our MTN BOX®: Spektrum Series SM takes all of the features of the original MTN BOX® design and utilizes a smaller size for additional benefits. The Spektrum Series SM’s size was optimized for truck packs. When loaded into a 102″ trailer (common in the entertainment industry), the Spektrum Series SM can fit 4 cases wide for a neat, organized truck pack. For these scenarios, the case should be loaded with it’s 24″ wide side facing the back of the trailer. 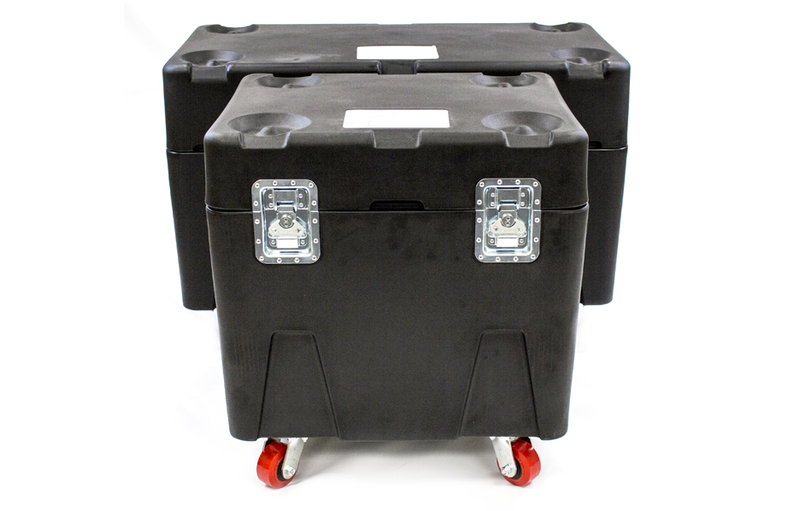 In smaller box trucks, the MTN BOX®: Spektrum Series SM can be rotated to it’s 30″ side to fit 3 cases wide. This case is lighter, naturally making it easier to position and move for those times when you don’t need a full size storage case. Size matters, but bigger doesn’t always mean better.